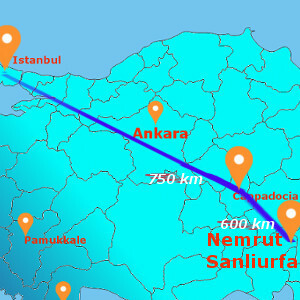 Flight to Malatya . Pick up from airport and continue to Seljuk Karatayhan Caravanserai on the famous Silk Road. We then drive for lunch through the Taurus Mountains, affording us the opportunity to observe the countryside and everyday life of rural Turkey. After lunch we drive to Kahramanmaras for a different experience-tasting best ice-cream in Turkey. We then drive to Kahta and check-in our hotel. Overnight in Kahta. 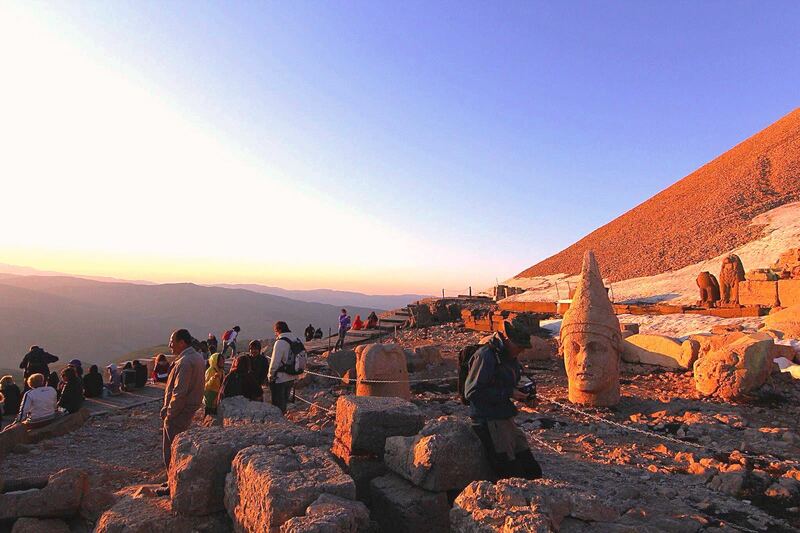 We depart from hotel very early in the morning up to the Mount Nemrut. At the end of the road, we get off the van and walk twenty-five minutes until the summit. Here we watch the memorable sun rise between the colossal size statues and heads of the kings and Gods. We then visit Arsemia which was once the capital of the Commagene Kingdom before continues to the ancient Septimus Severus Bridge over the Cendere stream, and the Karakus tumulus where members of the royal family were buried. We keep driving to Sanliurfa and Harran. We visit the Ataturk Dam which is the biggest dam in the Middle East, en route. We check-in the hotel in Sanliurfa and have lunch there. After lunch we visit Abraham's Cave and the Pools of Holy Carp surrounding it. We than walk around oriental covered bazaar and Gümrükhan. We drive to Harran a village of Mud-Brick "beehive" houses mentioned in the book of genesis where Abraham spent the last years of his life. Dinner and overnight in Sanliurfa. After breakfast we depart from Sanliurfa to Birecik which is famous for its bald-ibis (Kelaynak) birds. These birds are living only in Birecik in the world and there is a very limited population of them. We visit the breeding farm of Bald Ibis birds. After our lunch, we drive up to the Taurus Mountains. We have a short tea break and drive back to airport . Evening flight to Istanbul . After arriving transfer to Hotel .